Judging by the number of new major label LP releases — and the reported backlog at mastering plants — the rediscovery of vinyl is no longer the domain of elite collectors. 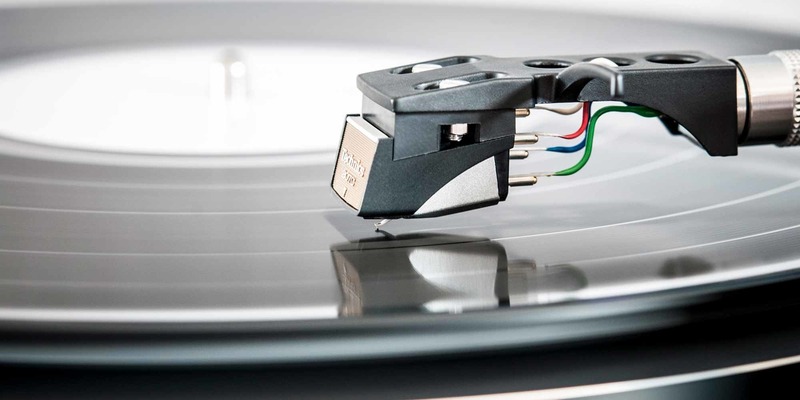 As frequent Stereophile contributor and longtime vinyl evangelist Ken Micallef explains, the resurgence in vinyl is about the complete experience vinyl offers as well as hearing and feeling the music in the room. And, he says, getting the full impact of that experience requires some effort. By more work, Micallef doesn’t just mean the physical effort of having to get up to turn over a record. To get the best results, it’s important to set up your turntable and keep the albums themselves in optimal condition. Unlike CDs, MP3s, and other digital formats, vinyl is a physical, mechanical medium. 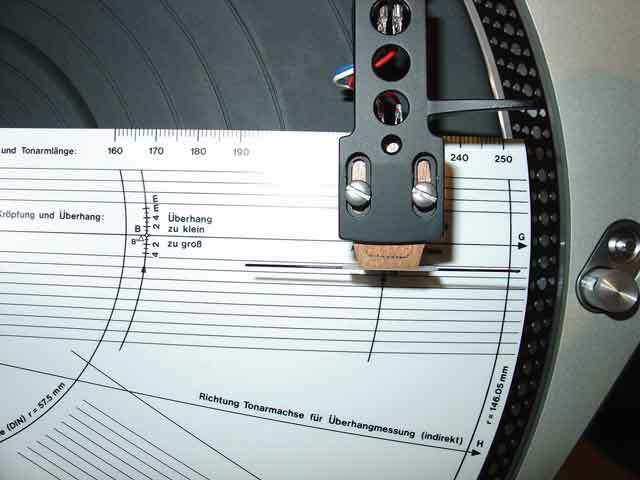 Records are etched with grooves, which impart vibrations through a stylus, which can then be amplified. In a way, it’s not that different from the way a microphone or electric guitar pickup transmits the vibrations of a string or voice. Optimizing a turntable is a step-by-step process, and while it doesn’t require a ton of tools, several of the steps can involve detailed measurements. We’ll stick to a basic overview, while offering some suggestions for further exploration. Also, be aware that “flat” and “level” don’t mean the same thing. Furniture and floors are often on a slight angle, and it’s worth checking and adjusting your turntable to compensate. “A level turntable will protect your records over the long haul and prevent groove-wear,” Micallef says. While you may be able to get by with a household level, tools like the Audio-Technica AT615, which is specifically designed to check platter level, are relatively affordable. It’s important to note that “ideal” setup varies by model. While all turntables basically do the same thing, they’re far from universal in the way they’re designed and built. The same is true of cartridges. Any adjustments you make need to line up with the guidelines for both your turntable and cartridge. If you own (or are in the market for) a used turntable, you might find the info you need in the extensive free archive on vinylengine.com. You have to register to download the manuals, but registration is free. The cartridge can be the most critical element in getting good performance from your turntable. After all, this is the part that actually rides the grooves and transmits the vibrations that will be amplified through the turntable’s electronics, your preamp, and sound system. The cartridge mounts via two screws to a component known as the headshell and sends signal through four wires—two for each channel. Many styluses are available pre-mounted in a headshell, which simply plugs into the tonearm. Even if you’re using the cartridge that’s already mounted, it pays to check that the wires are connected correctly. The wires are color coded. Red (hot) and green (ground) are for the right channel. Connections for the left are white (hot) and blue (ground). The way the cartridge screws onto the headshell is also critical. The screws sit in two slots, which allows you to position the cartridge forward and backwards relative to the headshell. The position of the cartridge should match the specifications for your tonearm and headshell. This is known as as the overhang distance, which determines where the stylus sits relative to the center of the album as it spins. The correct measurement can be a matter of millimeters, and can be challenging without a standard ruler. “You might get better results more easily by using a guide or a cartridge alignment protractor, which is often included with the manual amid the packing materials,” Micallef says. You’ll find a guide to choosing the correct protractor for your gear at vinylengine.com. For best performance, the tonearm should ride the record’s grooves without either digging in too hard, which can prematurely wear both your vinyl and the stylus, or too lightly, which will cause it to skip even on pristine vinyl. Here’s where the counterweight, the control on the back of the tonearm, comes in. Once again, you’ll need to do some research (or dig out the manual) to find the recommended setting for both your tonearm and cartridge. Once you have the specs for your gear, however, setup is relatively easy: the dial on the tonearm counterweight adjusts to the correct tracking force. Most cartridges specify a range, not an exact setting. Rigby and others recommend starting somewhere in the middle of the range—i.e., if the range is between 1.6 and 2.0 grams, start at 1.8. The range can vary not only by model, but by application. Recommended tracking force on a hi-fi oriented stylus like the Ortofon 2M Red (1.6 – 2.0g) is generally lower than with DJ-oriented cartridges like the Shure M44-7 DJ cartridge (1.0-3.0g). In fact, the Shure’s manual specifies different tracking force settings for DJ vs. hi-fi use. While adjusting the counterweight and tracking force, set the anti-skate—which we’ll get to in a minute—at zero. Then, remove any support from the tone arm so that it balances freely—but be careful not to let the stylus simply crash into the platter. The next step is to set the tracking weight—a separate dial found on many tonearms and usually located on the counterweight—to zero as well. Basically, the counterweight compensates for the cartridge, and therefore defines your zero tracking position. If your tonearm doesn’t have a tracking dial, things get a bit more complicated, but there are gauges that can help you such as the Shure SFG-2 Stylus Force Gauge available from Needledoctor.com. 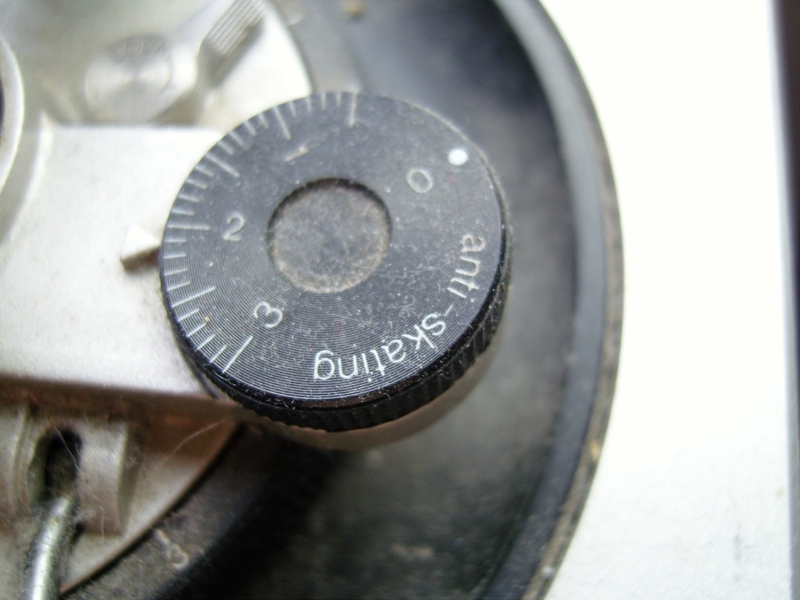 After zeroing the arm and setting the counterweight (or tracking force), dial to zero (the dial is present on most tables) and set the correct tracking force for the cartridge. Here’s a look at the considerations and the range of options available to music fans who want to create a home audio system and start listening to vinyl. The steps involved are beyond the scope of the article but there are some good online tutorials. As for azimuth, that is the direction of the cartridge within the headshell. 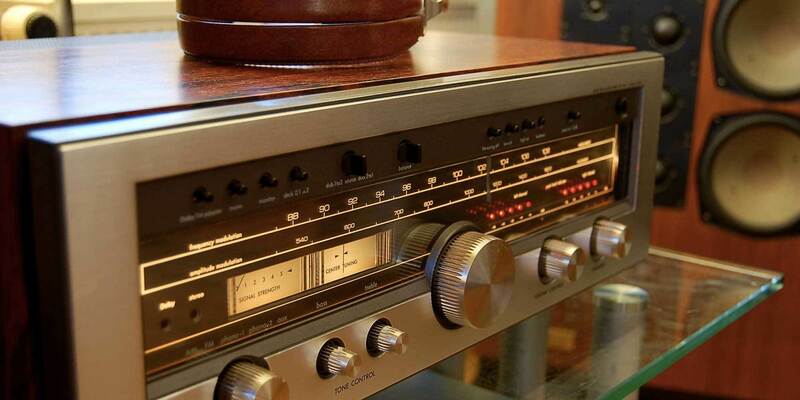 The cartridge should sit at a perfect 90 degree angle to the record. This involves rotating the tonearm slightly. 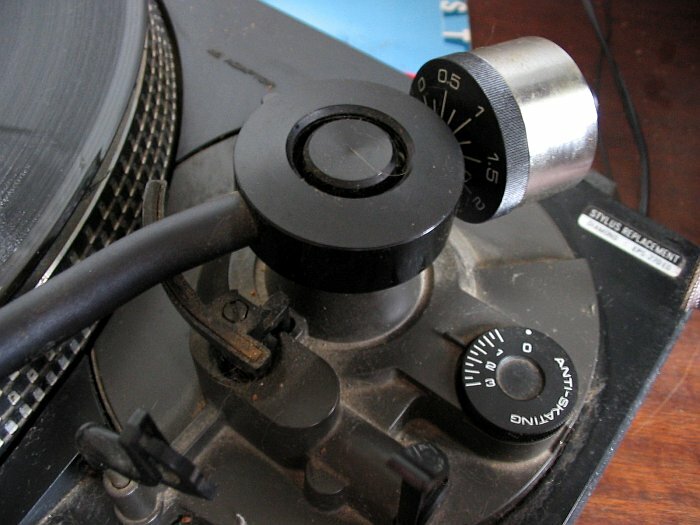 Grubscrews at the back of the tonearm (in better turntables) will allow you to make this adjustment. Azimuth is usually done by eye; you can also use a small mirror sitting under the stylus to confirm the cartridge is as close to a 90 degree angle as possible to the record’s surface.